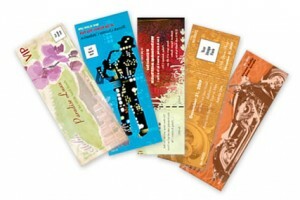 Giving out flyers is an inexpensive way to advertise a business. One of the most significant benefits of flyers is that they can be designed and printed at home or business premise and be ready for distribution in a few hours. One of the most challenging aspects of flyer printing is capturing people’s attention and convincing them to buy a product or service in a single sheet of paper. It is important to note that embellishments do not make a flyer; all you need to do is to get the message across. Flyer printing experts know that it only takes a glance for the target audience to keep or throw the flyer away. This means designers need to create a good first impression to hook the audience as soon as possible. An important part of the flyer is the headline. Use eye-catching slogans to direct people’s attention towards your message. The text that follows the slogans should be informative and interesting. Incorporate pictures in your flyer to illustrate your points. This is a key factor in flyer printing. Do no cram too much information in the flyer. This will make the audience disinterested in the message. Avoid beating about the bush and go straight to the gist of the message you want to pass across. Consider using one or two paragraphs in the flyer. Flyer designing involves using among other things, readable fonts. The type of font to use is determined by the message in the flyer. However, consider using readable and familiar fonts such as Arial, Times New Roman or Calibri. You can also use stylistic fonts to add an element of fun and excitement to the message, but keep them to a minimum. Using stylistic fonts on the whole text body would make the flyer hard to read. Suitable font size ranges from 11-14 points. Colour choice is another important factor to consider. The text should stand out from the images and any other thing in the background. For example, do not use light gray text on a white background. The text will not be readable. Instead, use black text. Having contact information in the flyer is not enough. 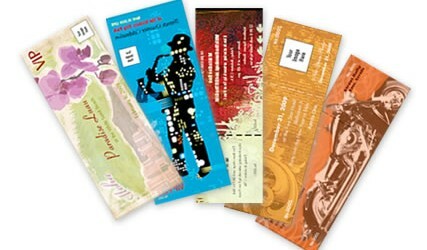 The purpose of flyers is to inform readers about your products and services and convince them to take action. The action may involve making a call or buying the product or service. The sooner people take action, the better it is for your business. One of the worst things that can happen during flyer printing is having the wrong contact information in the flyer or misspelled words. These kinds of mistakes can be avoided by checking the flyer message carefully for mistakes before printing. Print a sample of the flyer design to check how it looks in its physical form and if it has spelling or grammar errors. Double check the information in the flyer to ensure that it relays the intended message. Find out if the main message clearly comes out in the flyer. For more information about flyer printing, ClickHere.